New Zealand is without a doubt the most beautiful country I have ever seen! It’s just amazing, the country has it all. Mountains. Volcanos. 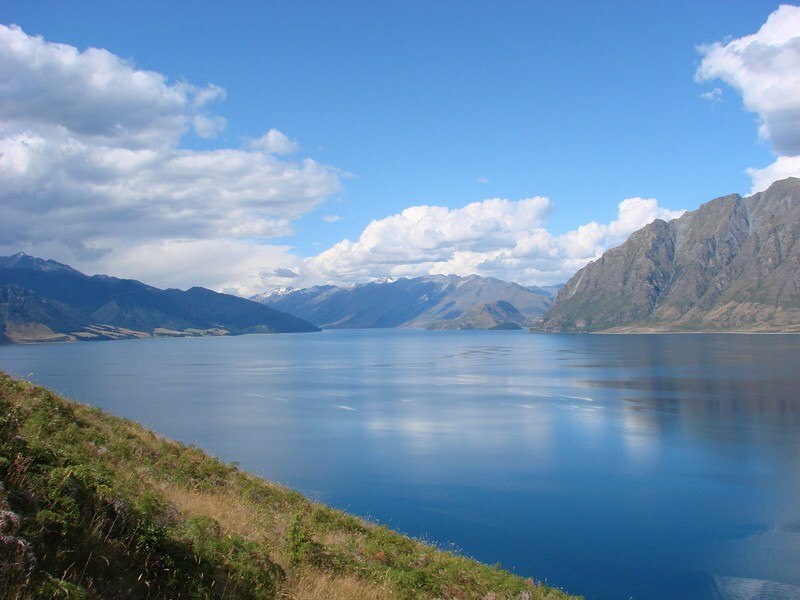 Lakes (there are so many beautiful lakes in New Zealand!). Sea. Forest. Waterfalls. Beaches. Hills. Cliffs. You name it, New Zealand’s got it. Besides the beautiful nature the people of New Zealand are incredibly friendly. If you’re having a coffee, they’ll have a chat with you and proudly tell you about their amazing country and awesome places you should visit. Which usually are the kind of places you won’t find in the Lonely Planet, so it’s worth keeping your ears open. If you are lost or so much appear to need anything, they’ll help you out. 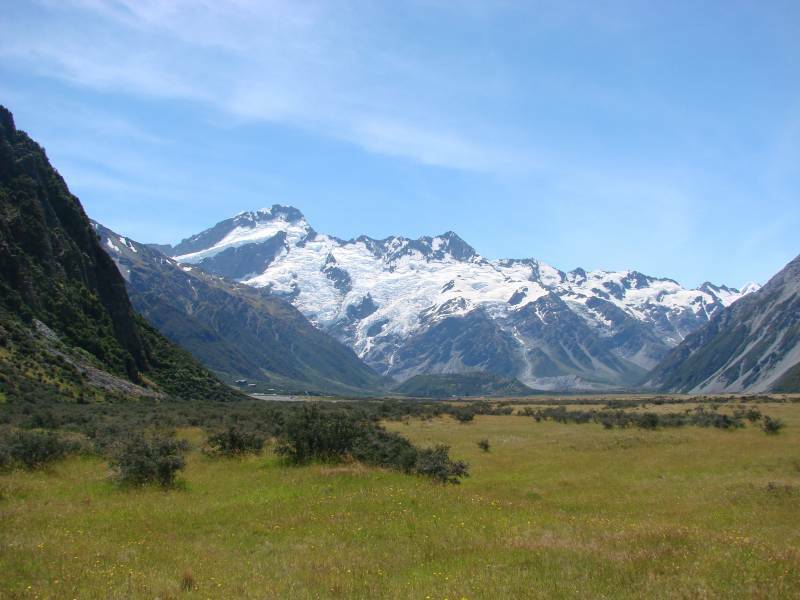 However, since the country is geared towards tourists and backpackers, traveling around New Zealand is very easy and straightforward. The only downside to New Zealand? It’s not the cheapest country in the world…But don’t worry, it’s possible to travel New Zealand on a budget! In this post you will find a full budget breakdown and clever budget saving tips in order to make the most of your money in New Zealand. Our New Zealand travel budget: how much did we spend on an average day in New Zealand? Curious how much our average daily travel budget in New Zealand was? During our 6 week New Zealand road trip we spent around €101/$114/160 NZD per day as a couple! In the infographic you can find our complete New Zealand budget breakdown and how much we paid for our campervan, accommodation, food & drinks and activities. • I traveled New Zealand with my husband, all expenses mentioned are for the two of us together. 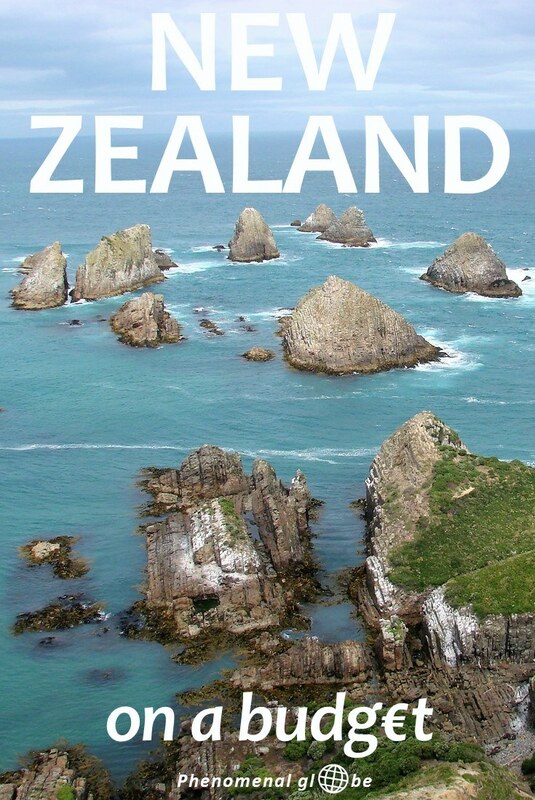 • In total we spent 6838NZD (=€4355 = $4884) in the 6 weeks we spent in the country (I could have easily spent our entire 5 months here but that would have completely drained our bank account). This comes down to an average of 159NZD (=€101 = $114) per day and includes all our expenses in New Zealand*. • It does not include the tickets bought to actually get to New Zealand from the Netherlands (my home country) or the ticket from New Zealand to Hong Kong (the next stop of my five month trip). I have written a total budget breakdown of our entire trip, detailing every dollar, dong and peso we spent during our 5 month trip. 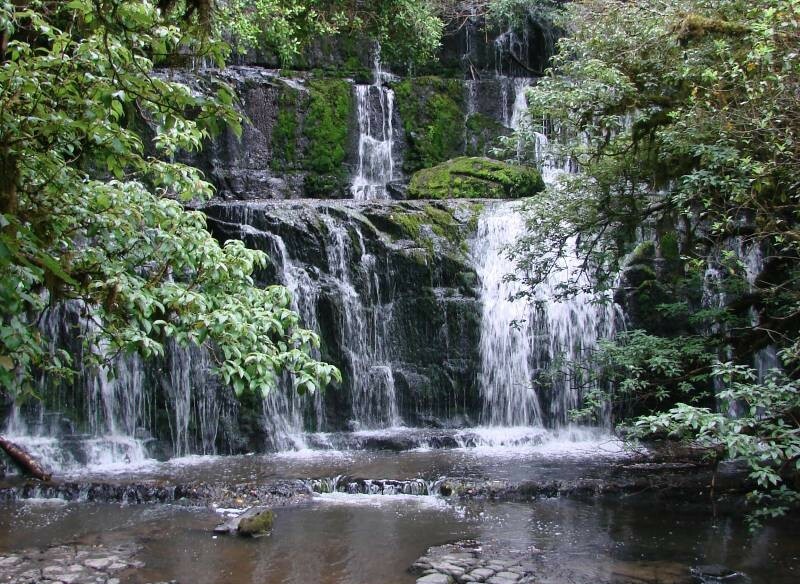 • The trip started in Christchurch and ended in Auckland, you can find the complete itinerary here. We spent 6 weeks in New Zealand: 4 weeks on the South Island (which definitely has the most beautiful nature) and 2 weeks on the North Island (where you find more history and a lot more Maori culture). • In total we drove over 6500 kilometers of beautiful road and still there is so much more to see so I definitely plan on going back to New Zealand in the future. For our New Zealand road trip we rented a camper van for 42 days and loved every second of it! The freedom of having your own wheels, going everywhere you want, driving winding (gravel) roads, pulling over anywhere you want to enjoy another spectacular view… It’s fantastic! 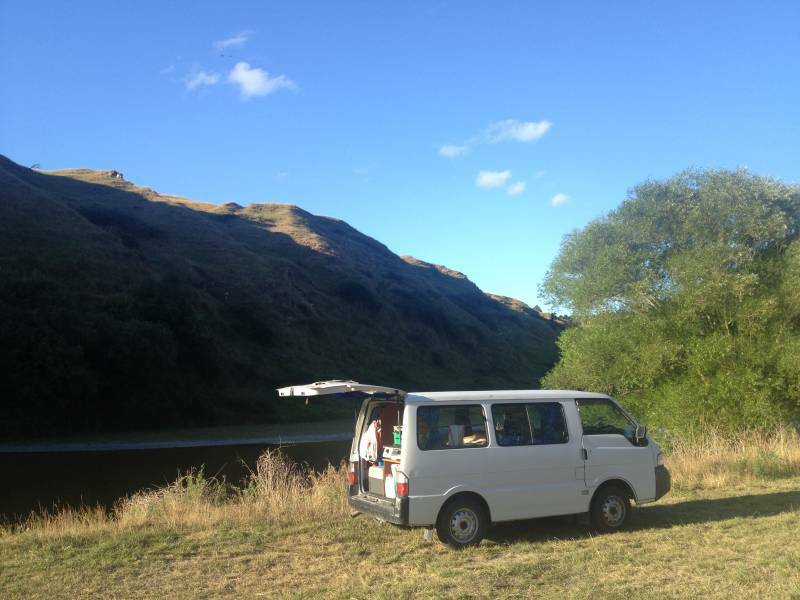 The total costs for the van were 3060NZD, read all about renting a camper van here. The second category of accommodation costs is campsite fees, which costs us 360NZD for the 41 nights we spent on various campsites (Holiday Parks, DOC campsites and free campgrounds). Read all about the campgrounds we stayed at in this post. The days that you could carelessly pull over anywhere and stay the night are long gone. 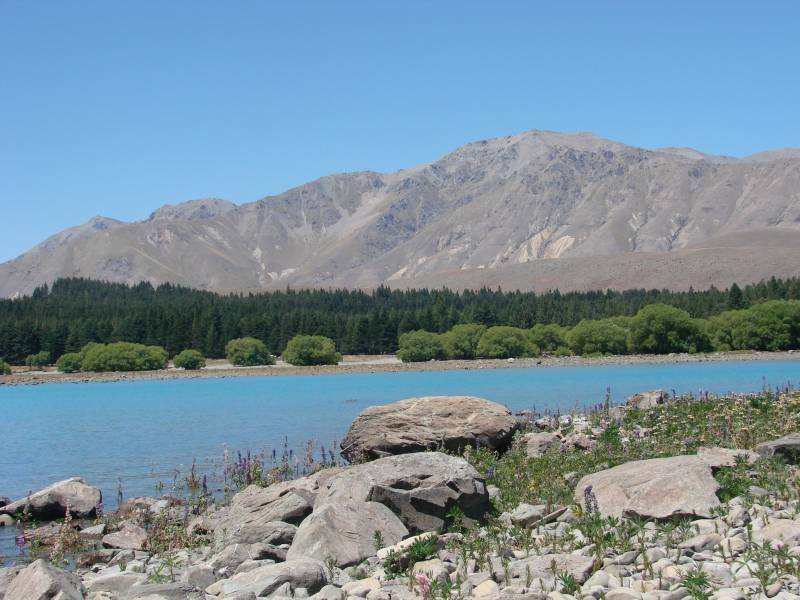 Because more and more tourists are coming to New Zealand, the government put stricter camping regulations in place and those not obeying those regulations risk a 200NZD fine. This site contains more information about freedom camping. That being said, there are still lots of places you can camp for free. In fact, of the 41 nights we stayed on campsites 18 nights were completely free! 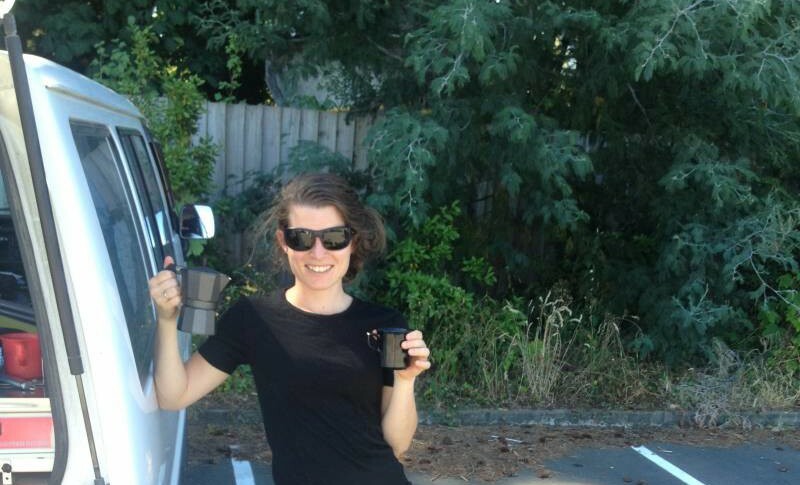 We only stayed in one hostel and one hotel in NZ because all other nights we spent in our awesome van. The day before we left New Zealand we stayed at Ibis Budget Hotel Auckland Airport, which was fine but nothing special. We stayed here because it was a 15-minute walk to the airport, very convenient because of our early flight the next day. While there is public transport available in New Zealand, I highly recommend to rent a campervan. Public transport requires planning and will only bring you to the main hubs. And while I haven’t done the exact math, I think in the end it’s cheaper to travel by campervan if you are with two people. As I said before in this post, having your own wheels is the best and I definitely recommend this way of traveling in New Zealand. But unfortunately our loyal campervan didn’t run on love alone so we ended up stopping for petrol every other day. In total, we spent a whopping 1257NZD on petrol which comes down to 30NZD a day. We paid anything from 1.50NZD up to 2NZD per liter when we were there. • Get a free AA card, this entitles you to a discount per liter of petrol (amount changes daily but is usually around 6ct). Read more about the AA card here. • Do not, and I repeat, do not find yourself in the position of having to fill up your tank in Franz Josef. We paid 2NZD p/l (yes, really!) because the nearest petrol station was over 90km away (we only just got enough petrol in Franz Josef to get to Hokitika where the petrol price was only 1,70NZD p/l). Particularly on the South Island there are a couple of stretches were you’ll find no petrol stations for more than a 100km. So before hitting the road, check the level of your tank and your planned route for petrol stations to avoid getting stranded or paying the premium price. The Cook Straight ferry: how much is a boat ticket? We rented our van in Christchurch and dropped it of in Auckland. 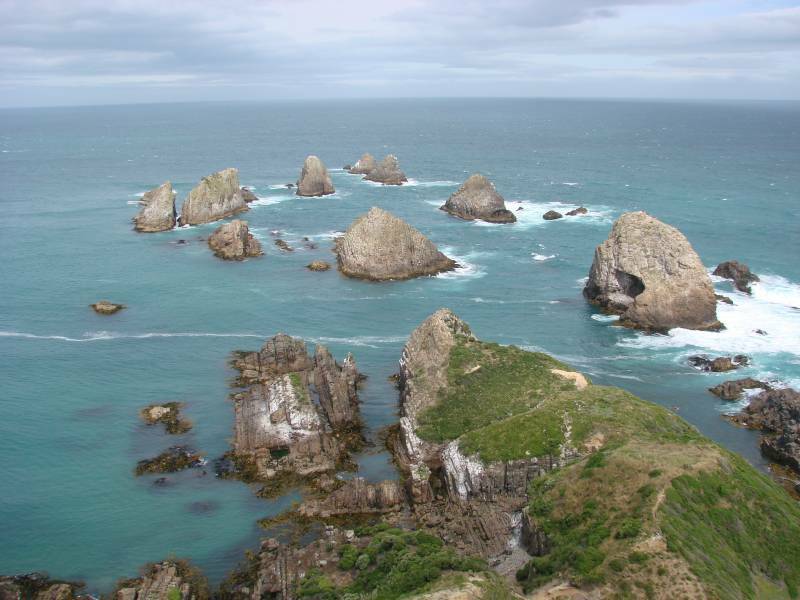 And so our trusted camper crossed the Cook Straight with us, to travel from the South Island to the North Island. For 2 adults and our (less than 5.5 metres and therefore falling into the category ‘Private Car’) campervan we paid 226NZD with Bluebridge Ferries. Great customer service, they responded to my email requesting a date change within the hour and carried out the change without extra charge. We only took the bus twice in New Zealand so we only spent 23 NZD on bus fees. 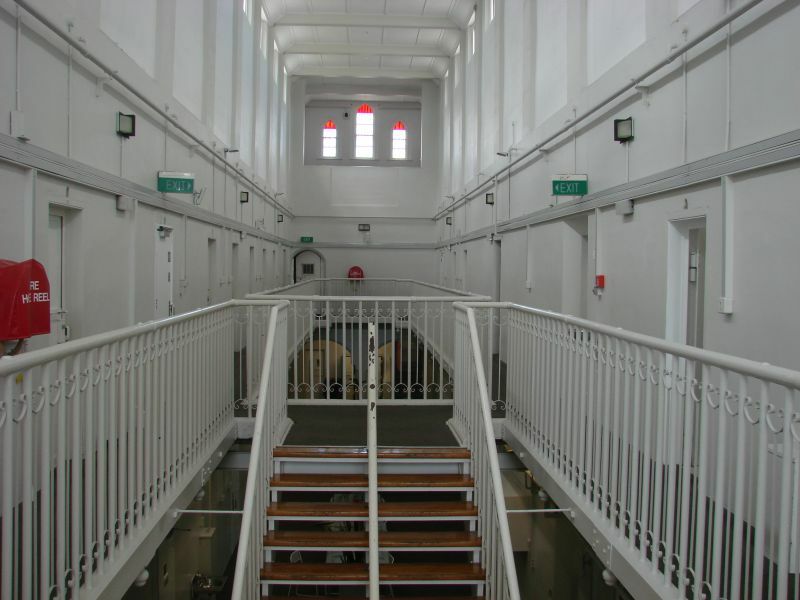 We paid 16NZD (8 per person) to get from Christchurch International Airport to the city center and 7NZD (3,5 per person) to get from Jailhouse accommodation to a shopping mall at Riccarton Road and back again. How much do groceries cost in New Zealand? We spent 877NZD on groceries, which is approximately 20NZD a day. Cooking your own meals is absolute key when you are traveling New Zealand on a budget! Groceries are a little more expensive than in the Netherlands, but 20 NZD a day for breakfast, lunch, dinner and snacks for two people isn’t much. • Buy your groceries in large supermarkets such as New World, Freshchoice or Countdown! This is much cheaper than shopping in small villages where there is usually only one small store (mostly the Four Square). Of course, buying fruit, veggies, eggs, etc. from farms and stalls by the road is a great way to support local farmers, also, these products are usually excellent quality and really fresh. • Get a free New World membership card, this gives you discounts on selected items. I loved cooking meals in our van and having lunch or dinner while looking over a beautiful lake or listening to a trickling stream or the rushing ocean. In total, we spent some 284NZD on various food and drinks. While it’s good to monitor your spending, you should also enjoy your trip and have that ice-cream after hiking for three hours. Or that cold beer after climbing Mount Doom. Or a good cup of coffee every now and then. Although, one piece of advice if you’re also into coffee: we found a little espresso maker in Westport which dramatically decreased our coffee spending because we made our own delicious espresso and cappuccino once we got that. Last but not least, we spent 570,50NZD (= €363 = $408) on paid activities, on average 13,26NZD per day (=€8,50 = $9,50). You can find information about all our paid activities in this post and all other activities (lots of beautiful hikes, completely free of charge) in the complete trip itinerary. 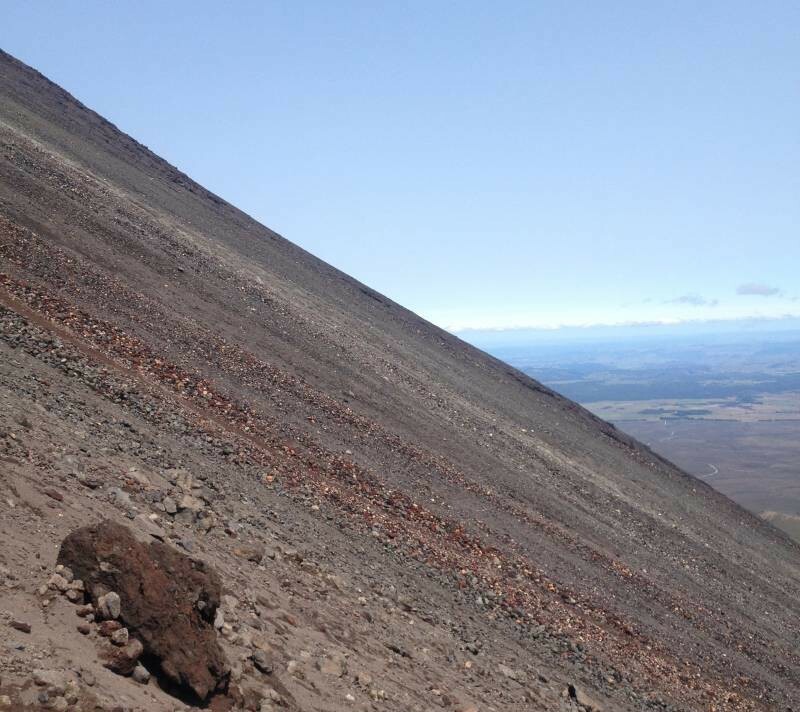 On of the coolest activities in New Zealand: climbing Mount Doom! I know, it’s a long post. But you made it to the end, congrats! Now you know all about our New Zealand expenses. Even though it was the most expensive place we traveled during our 5-month trip, it was also our favorite country. 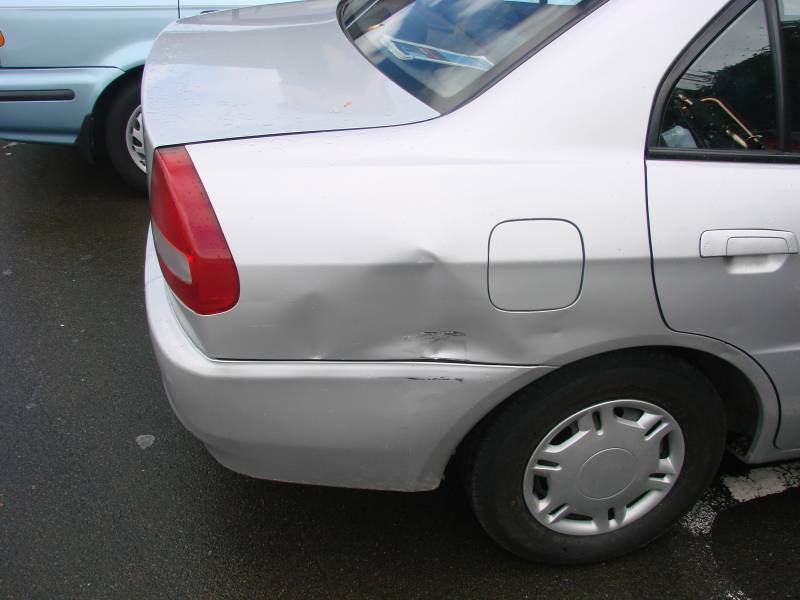 The thing about their Zero Excess policy is that it only covers one accident (which I think is totally fair since it is a very reasonable fee, much lower than what I have seen at other rental companies). So we had to decide if we would pay the Zero Excess fee again. We had 17 days left, meaning we would have to pay 17*19NZD = 320NZD. Definitely money I would have preferred to spent on something more fun. Nevertheless, we decided to purchase the Zero Excess again. We just didn’t want to run the risk of having to pay up to 3000NZD dollar. If, by some streak of bad luck or my apparently not so good parking skills, we would have another accident it would mean cutting our trip short because we wouldn’t have enough money left for the remaining months. Lesson learned. My recommendation about travelling in general is to have a buffer for unforeseen expenses, say 10% of your total budget. Because a lot can (and will;-) happen on a long trip and it’s better to be prepared. Below you can download the New Zealand budget breakdown infographic, have a great trip! 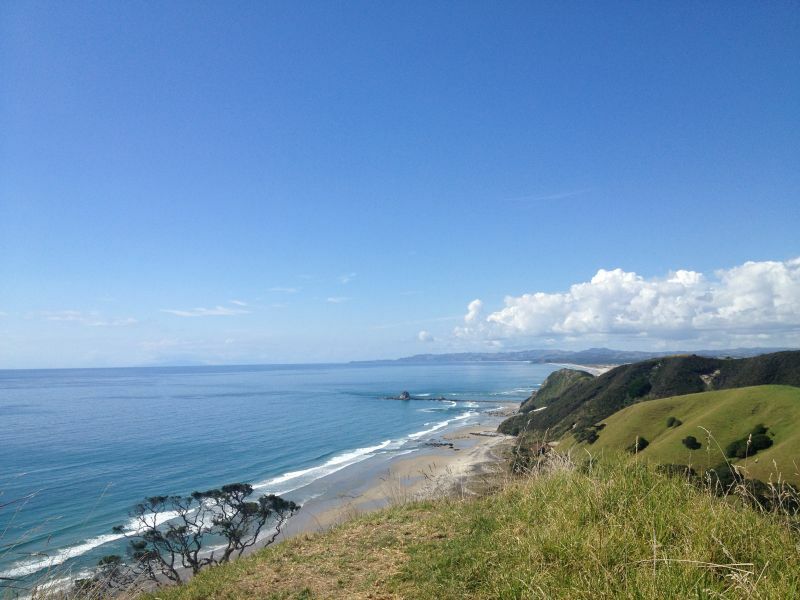 Thanks Carolien:-) Let me know if you do, I love to give advice about traveling New Zealand! Good to have such an overview of the costs of your trip. This is one of the things I have never done in my blogs. I give prices for individual things and tips to save money (in my Australia blogs) but this is something I have to look into because it’s really helpful when you are planning a trip! 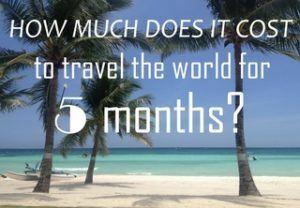 Hi Ivonne, thanks:-) During our 5 month trip, I wrote our expenses down mainly for myself to keep track of our budget. But when I got back home I thought this could be really helpful for people planning their trips, so I made my first blog post of it:-) Glad you like it! Haha, it’s certainly not the cheapest country to visit but camping and hiking definitely helps a lot in containing the costs. The exchange rate wasn’t great when we visited (later in 2016 it was 1,75NZD for €1!) but I think the Australian exchange rate is even worse (for us Dutchies;-). Still, you’re going to Australia, so cool! I feel Christmas has came early with this post!! So so helpful as we are headed to NZ in February and also have a campervan booked so this advice is so relevant thanks so much for actually getting into the nitty gritty details such as costs which so many blogs miss out!! Thank you so much for your kind comment:-). I’m very happy you like the post and find it helpful. Have a wonderful trip around NZ!